Some businesses concentrate their energy on creating a “fun” and “cool” culture and neglect what makes a legitimate difference in the employee experience. Elizabeth Dukes, Co-founder and CMO of iOFFICE, Inc. When it comes to company culture, there are plenty of elements that hold much greater weight than unlimited PTO, a lax dress code or Taco Tuesdays. No amount of free beer or on-site massages can make up for an environment where employees have to burn the candle at both ends just to stay afloat or a workplace filled with negative coworkers they can’t stand. Some businesses concentrate all of their energy on creating a “fun” and “cool” culture and neglect the parts of the culture that make a legitimate difference in the employee experience. Here are three things current and future employees genuinely want in a company culture. According to Gallup research, 50 percent of employees don’t actually know what’s expected of them. Half the average workforce is wandering aimlessly, hoping that they’re fulfilling their responsibilities, with no real confirmation that they are. While your employees undoubtedly expect a certain level of autonomy (and even if a few members of your workforce do enjoy a sink-or-swim environment), you shouldn’t throw employees in the deep end on their first day and anticipate success. Starting a new job is stressful, and employees want to know the organization as their back. Before a new hire sets foot in the door, her soon-to-be-manager should reach out and discuss, in detail, the responsibilities of her role and what she can expect during her first day, week and month. It doesn’t matter if all of this was already discussed during the application process; a recap won’t hurt anyone. Your employees want to help your company thrive. And if the company doesn’t eschew ambiguity, employees are simply being set up to fail. In a survey of 3,000 American and Canadian employees conducted by Staples Business Advantage, more than half of the respondents said they felt overworked. And 15 percent reported having to take a leave of absence due to workplace stress. It’s definitely frustrating for an employee to not know what’s expected of her. But when her every duty is laid out and she realizes it isn’t feasible for her to manage the workload without sacrificing her sanity is so much worse. Thanks to technology and today’s “always-on” culture, the 40-hour workweek has unfortunately become somewhat of a pipe dream in the business world (RIP). So even if expecting to consistently work a maximum of eight hours per day is a bit wistful now, that’s no excuse for employers to shun employees who don’t regularly work on evenings and weekends. Your company wouldn’t have hired someone if it didn’t feel they could handle the role, right? That means if the employee seems to always be behind, it isn’t necessarily a sign they weren’t right for the job. It could be a sign she has simply been assigned too much. The problem is this: an employee (especially a new hire) isn’t likely to proactively approach her manager when she’s feeling overwhelmed by fear of appearing incompetent or unqualified. In addition to maintaining reasonable expectations, it’s important for managers to frequently check in with the team members and encourage them to be open and honest about their workload, and discuss what they can and can’t take on. If someone is going to spend nearly 20 percent of her adult life working, it’s reasonable to assume she’d prefer that time is spent with people she actually wants to be around, right? Some employers discourage workplace friendships because they assume employees will be distracted and less productive. In reality, it’s the opposite. And not only does having friends at work increase workforce productivity, but it also helps increase employee retention. Likewise, the ability to work with friends impacts recruiting: UK-based Jobsite reported that 58 percent of men and 74 percent of women would not accept a higher paying job if they wouldn’t get along with their coworkers. A sense of camaraderie supports collaboration. And collaboration is crucial to the success of a business. 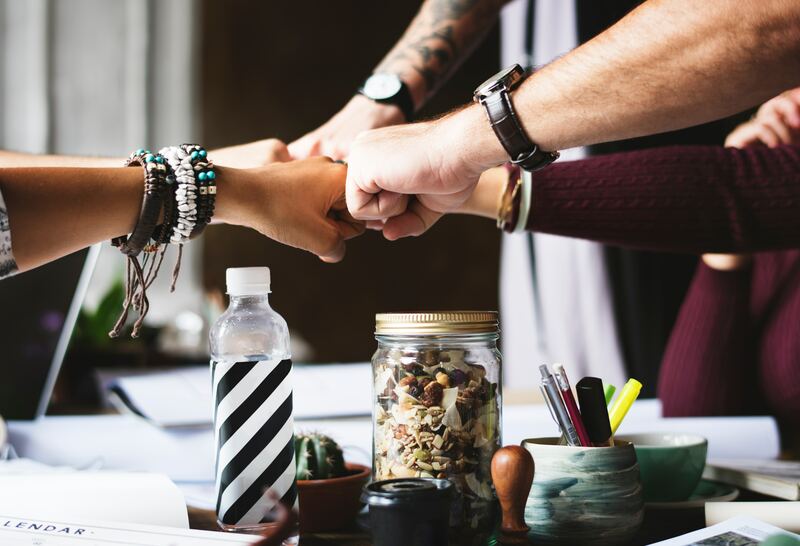 When employees are friends with their colleagues, there is a greater sense of trust, which inspires loyalty, creativity, and excitement about working together. That trust also helps team members feel more confident about throwing out different ideas and suggestions because they know their coworkers respect and value their opinions. Conversely, a company culture that promotes excessive competition can drive away top talent—particularly millennials. A survey conducted by the Intelligence Group found 88 percent of millennials would rather work in a collaborative work culture than a competitive one. Now, there’s nothing wrong with promoting healthy competition in the workplace since it encourages employees to work harder. But don’t build a cutthroat culture where your workforce is always on the lookout for ways to sabotage their colleagues. In those situations, no one wins. As you work on developing a company culture focused on the elements that will have the most impact, don’t ignore the importance of the one tangible aspect of the employee experience: the workplace. If your company could be the set for the sequel to Office Space, you could create the greatest culture ever conceived and it won’t mean a thing. You must build a smart, digital workplace that reflects your supportive, collaborative and creative company culture—an office as dynamic and innovative as your workforce. As EVP, she is responsible for building partnerships and business relationships, communicating company solutions, expanding the team and advising our CEO and senior leadership team on business issues. Elizabeth’s expertise has helped grow the company from our very first client to the more than 1,200 we have today. Elizabeth received her bachelor of business, marketing degree from the University of Texas in Austin and worked for Pitney Bowes before joining Don in his venture with iOFFICE. Elizabeth is a wife and mother of two teenage daughters. She is actively involved with the community through National Charity League, her daughter’s school and her church. She loves to be outside when at all possible enjoying exercise, playing tennis, taking photos or hiking through beautiful places.